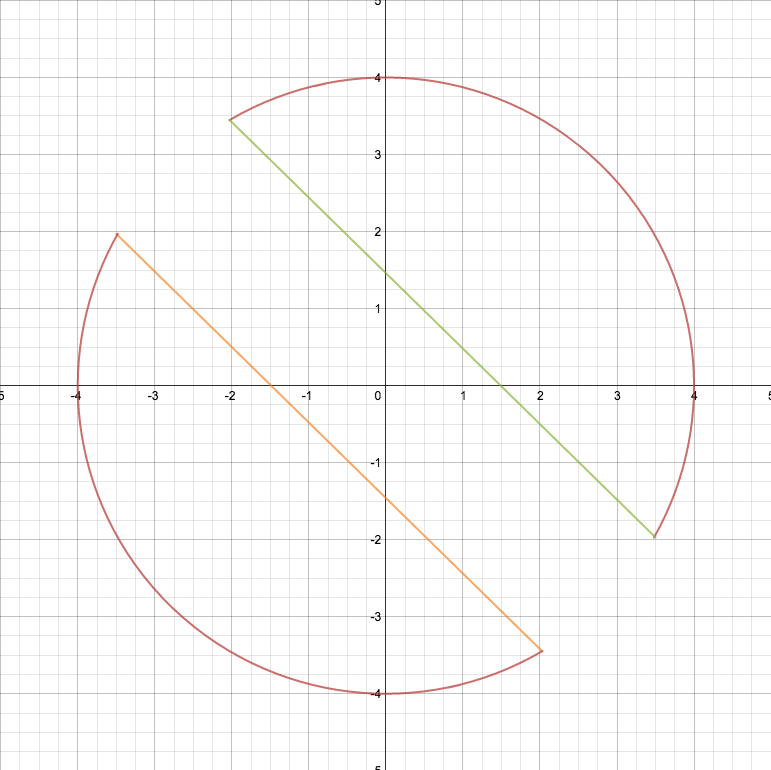 The colors indicate that this graph is made up of multiple equations. However, there are domain restrictions that require you to use 4 equation entries for one color and 2 more for the other colors. If anyone can help me to understand the small gaps that occur where the arcs and lines should meet, I’d be interested to hear.